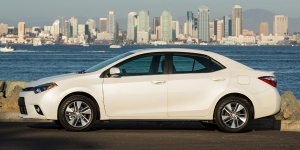 The Toyota Corolla receives a comprehensive exterior and interior makeover for 2014. The 1.8-liter 4-cylinder engine remains, but is available in a stronger iteration with 140 hp. Find the used Toyota Corolla of your choice from a dealer in your area. Search our used car listings now.